Human Growth Hormone is perhaps one of the newest compounds used by athletes and bodybuilders looking to obtain a larger edge in the area of physique and performance enhancement. It must first be made clear that Human Growth Hormone is not an anabolic steroid. Human Growth Hormone is what is known as a protein hormone (or a peptide hormone) that is naturally and endogenously produced by the human body and secreted at the pituitary gland. The neurosecretory cells of the hypothalamus release a hormone known as GHRH (Growth Hormone Releasing Hormone, AKA Somatocrinin) and another hormone known as GHIH (Growth Hormone Inhibiting Hormone) into the pituitary gland, which then manufactures and releases its Human Growth Hormone storage into the bloodstream. Human Growth Hormone belongs to the Somatotropin family of protein hormones, making it a very close relative to the hormone Prolactin, which also belongs to the Somatotropin family of hormones. The total Somatotropin family includes: CSH1, CSH2, CSHL1, HGH (Human Growth Hormone), PRL (Prolactin), and hGH-V. Human Growth Hormone consists of a structure of 191 amino acids. Human Growth Hormone, as its name would suggest, is an important hormone in the role of many different growth mechanisms and functions in the human body. However, Human Growth Hormone’s activity is not limited to just this function – it possesses a whole myriad of different functions and effects on many different processes of the body, including regulating certain aspects of the metabolism, providing cellular regeneration and growth, as well as healing and repair and more. Many of Human Growth Hormone’s functions are well known, but it also possesses properties and functions that are still as of yet known or not very well understood. Human Growth Hormone’s primary effects on growth functions of the body are in three primary areas: bone growth, skeletal muscle growth, growth of internal organs, and the healing/growth/repair of connective tissue such as tendons, ligaments, and joints. In terms of its effects on metabolism, it supports the efficient functions of protein, carbohydrate, fat, and vitamin/mineral metabolism. Within the medicine, Human Growth Hormone has been used successfully as a treatment to many different types of disorders and ailments. The first and foremost use of HGH medically is for the treatment of pituitary deficient dwarfism, a condition in which individuals do not grow properly due to a lack of endogenous Human Growth Hormone production. This is most frequent during childhood or adolescence, where synthetic Human Growth Hormone is administered in order to increase growth as much as possible prior to the middle stages of adolescence whereby the potential for growth becomes increasingly limited. It is also utilized for similar conditions in adults as well. Medically, Human Growth Hormone is also utilized for the treatment of Human Growth Hormone deficient adults, whereby adults produce insufficient levels of GH, and synthetic exogenous Human Growth Hormone is administered in order to restore levels into the normal range (preferably into the range of what a young adult would possess so as to restore youthfulness and exhibit anti-aging effects so commonly attributed to Human Growth Hormone). 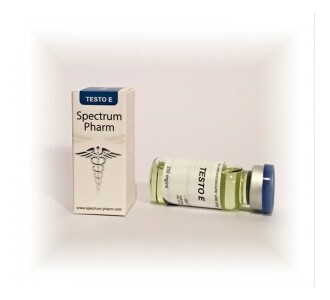 Lastly, exogenous Human Growth Hormone therapy is used in the treatment of AIDS/HIV related muscle wasting (or as a result from many other diseases). There are other conditions that Human Growth Hormone is occasionally utilized for treatment as well, such as the promotion of accelerated healing in burn victims. Somatropin is the name for synthetic Human Growth Hormone synthesized by way of recombinant DNA (rDNA) synthesis technology whereby viruses are inserted with the genetic code (i.e. blueprint) for the creation of GH. Petri dishes that contain strains of e.coli bacteria are then infected by the bacteria (the genetic code is injected/inserted into the bacteria by the viruses). Essentially, these bacteria are now ‘tricked’ into manufacturing human growth hormone as their sole purpose as determined by their new genetic programming. The resulting Somatropin (rHGH, AKA recombinant Human Growth Hormone) is 100% exactly identical to the Human Growth Hormone that is endogenously manufactured by the pituitary gland in every human being. There is no difference at all between rHGH and endogenously naturally manufactured HGH. This is how Human Growth Hormone is manufactured today, and recombinant DNA synthesis technology was successfully designed in the 1979 by Genentechand has been used ever since for the synthetic manufacturing of all kinds of complex proteins and protein hormones. However, this is not how Human Growth Hormone was manufactured and used prior to the 1980s. The original Human Growth Hormone preparations prior to rDNA technology in the 1980s were by way of Human Growth Hormone extracted from the pituitary glands of human cadavers. With this technique, 1mg of Human Growth Hormone could be successfully extracted from the pituitary of the dead body. It was in 1958 when the very first use of Human Growth Hormone extracted from cadavers was published. Shortly thereafter, HGH of cadaver origin was marketed until 1985 when rDNA technology replaced it. More significant, however, was the fact that in 1985 the FDA made the decision to ban cadaver-derived Human Growth Hormone due to the fact that during the extraction process, it was impossible to filter out 100% of all other possible contaminants. The result was that various batches of cadaver-derived Human Growth Hormone were found to be contaminated with prions (certain misfolded proteins that cause neurological damage) which ended up causing Creutzfeldt-Jakob’s Disease (CJD). This was a very fatal brain disease that several Human Growth Hormone treated patients had succumbed to. Approximately 26 patients that were administered cadaver-derived Human Growth Hormone had contracted CJD. Shortly thereafter, as mentioned above, rDNA technology had been developed and this manner of synthesis resulted in a 100% pure hormone product without any possibility of contaminants. The very first synthetic rDNA marketed Human Growth Hormone preparation was known as Somatrem and Protropin. Protropin contained a slight variation in its peptide structure that deviated from Human Growth Hormone, but was almost 100% identical and exhibited all of the same effects in the body. In 1987, Vitrum pharmaceuticals of Sweden had developed the first synthetic Human Growth Hormone molecule that was 100% identical to that of naturally endogenously produced Human Growth Hormone in the body. HGH has displayed a vast, broad, and diverse range of effects. It is a hormone that has been found to be anabolic in muscle tissue, demonstrated to increase both the size (hypertrophy) and number of muscle cells (hyperplasia). The interesting fact about Human Growth Hormone is that its ability to generate a far greater amount of hyperplasia over hypertrophy is very favorable among athletes and bodybuilders, as an increased number of muscle cells (hyperplasia) over an increase in the size of muscle cells (hypertrophy) is always favored due to the fact that newly created muscle cells remain permanently (more or less). The size gains as a result from hyperplasia will remain indefinitely following these growth effects. Human Growth Hormone also possesses the effect of promotion of cell regeneration, re-growth, and healing in every single cell type in the human body with the exception of the majority of cells in the eyes and brain. This is beneficial for individuals who possess debilitations and/or diseases in which organ failure is a possibility, but organ transplants are not an ideal option. The use of Human Growth Hormone can effectively heal, for example, and individual who possesses kidney or liver failure and at the very least maintain normal functioning of these organs through its cellular regeneration and growth capabilities. This is also why HGH will generally result in larger organs (due to the increased cellular growth), and is a perfect example of why individuals with various organ failure typically possess organs that are far smaller (due to the extensive cellular death of the organ’s cells) than individuals who otherwise possess healthy organ function. Human Growth Hormone’s metabolism effects include its major effect of shifting the human body’s preference of energy source from carbohydrates to lipids (fats). As a result, Human Growth Hormone use will commonly result in rising blood sugar levels (known as a diabetogenic effect). This effect is, of course, dose-dependent and directly correlated with doses. Excessive Human Growth Hormone doses or periods of use can possibly result in the beginning of type-2 diabetes. However, through its manipulation of energy sources from carbohydrates to body fat as the preferred source, the fat loss effects can be very dramatic and as a result will also decrease cholesterol levels. Human Growth Hormone also tends to deplete potassium, phosphorous, and sodium levels, which should be kept in mind by the user (proper supplementation with these minerals is advised especially with higher Human Growth Hormone doses). Human Growth Hormone also tends to have a lowering effect on circulating levels of T3 (thyroid hormone), which can temporarily disrupt metabolism. Once again, this is a dose-dependent effect. Overall, Human Growth Hormone acts upon receptors located on muscle, cells, bone, and fat tissue, signaling these different cell and tissue types to engage in growth and fat loss. Its effects on metabolism also result in an increase of hepatic (liver) gluconeogenesis (creation of glucose), and its role in preventing cells from utilizing this fuel source in favor of lipids instead. The fact of the matter is that Human Growth Hormone’s effects are all essentially governed by the protein hormone IGF-1 (Insulin-like Growth Factor 1). GH travels to the liver where it signals the liver cells to begin production and secretion of IGF-1, a very potent growth hormone that has been proven to be very anabolic in muscle tissue. It must be understood, however, that IGF-1 possesses properties and effects that are very much the opposite of Human Growth Hormone (for example, IGF-1 tends to increase fat retention and increase glycolysis (consumption of glucose as fuel). A hotly debated topic is that of whether or not Human Growth Hormone is truly effective in terms of physique and performance enhancement, and if it is indeed a worthwhile endeavor and investment for those looking to enhance their physique and/or athletic performance. Although this will be discussed further in the Human GH doses and cycles section of this profile, the truth of the matter is that several studies have indeed demonstrated that Human Growth Hormone use results in some pleasing weight and lean mass gains, it is a poor choice for strength gaining. 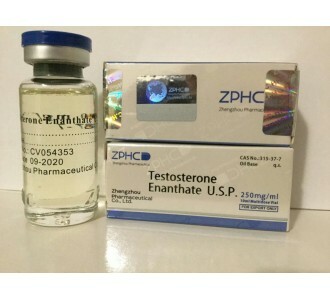 Furthermore, it has been demonstrated that Human Growth Hormone utilized alone (without anabolic steroid stacked with it) will result typically only in dramatic fat loss, and that in order to experience the dramatic muscle mass gains, one must either utilize Human Growth Hormone with anabolic steroids or Human Growth Hormone must be utilized long-term (at least 6 months of consistent use). Studies on AIDS/HIV patients that are administered Human Growth Hormone have demonstrated that the anabolic effects are significant on these individuals. However, the context must be considered here in that studies performed on healthy adults would very obviously result in different results than studies performed on frail HIV/AIDS patients. Upon its first growth in popularity during the 1980s, a large amount of misconception, myth, and rumor had persisted concerning its properties and its use, where it was originally thought to be the most anabolic compound available. With today’s increasingly better understanding of Human Growth Hormone compared to 30 years ago and all of the clinical studies that have since been conducted, we possess a far better understanding of it and that the previous myths from the 1980s were not exactly true. 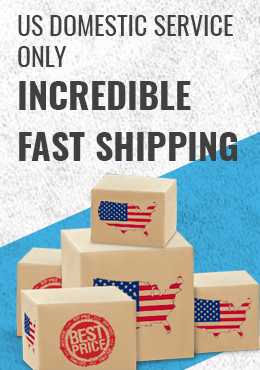 As a result, Growth Hormone today is utilized extensively primarily for its dramatic fat loss effects, which manifest itself fairly immediately after initial use. The anabolic effects on muscle tissue, as previously stated, require at least 6 months of consistent use (due to the slow and steady build-up of HGH and IGF-1 in the body) before they can be experienced. 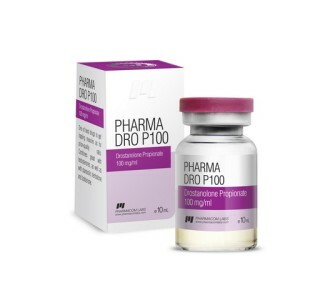 Therefore, the general conclusion when it comes to Human Growth Hormone is that it is considered a far weaker performance and physique enhancing substance than anabolic steroids, and must be utilized in a very specific manner in order to garner the muscle growth and strength gains capable with it. Essentially, Human Growth Hormone is a compound that should only be utilized by advanced athletes and bodybuilders and is considered a useless compound for beginners. This is because the majority of advanced anabolic steroid users have advanced so far into their progress and training that have reached more or less a ‘dead end’ to their progress, no matter the effort or compounds utilized. Commonly, this is because the individual has reached their genetic potential. GH can assist an individual in pushing past this ‘dead-end’ and thus this is why Growth Hormone should be considered an advanced compound in the arsenal of any highly advanced or experienced athlete.